Bolts on the Cheesegrater. Photo by Londonist. 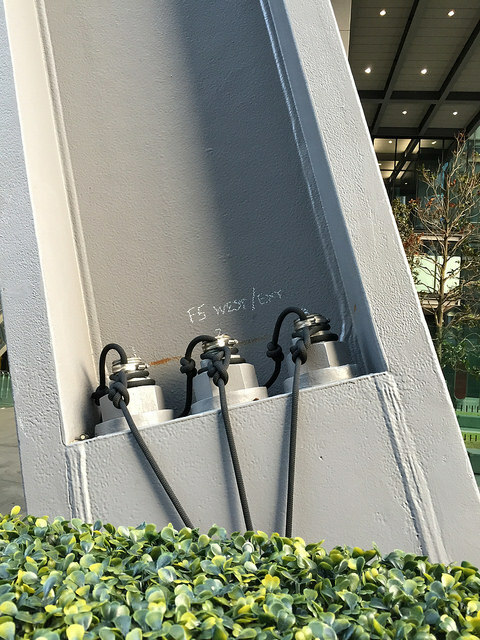 Owners of the Cheesegrater skyscraper are to replace some of the bolts on the building after a third one broke and fell off the building. 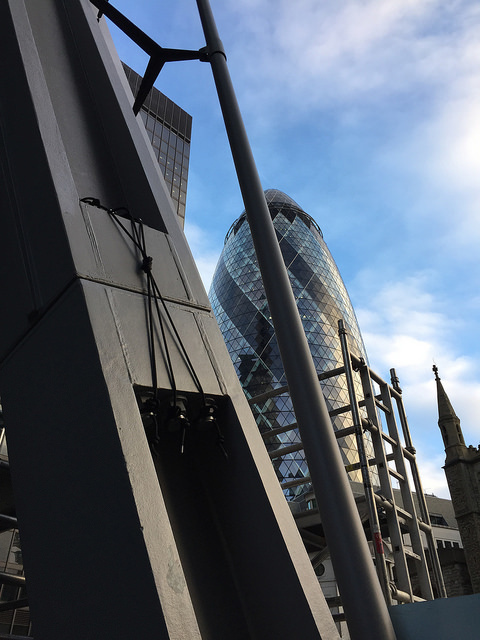 The problem has been blamed on “hydrogen embrittlement” says real estate group British Land, which is responsible for the tower officially known as the Leadenhall Building. 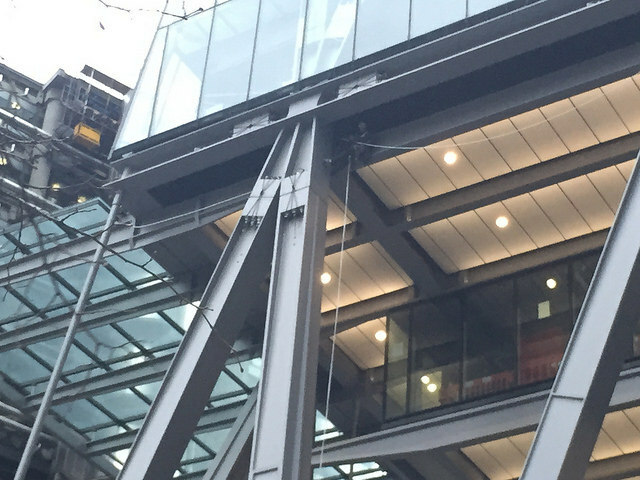 Londonist reported the last bit to fall off, when two of the 5,000 arm-sized bolts sheered off in November, prompting the area below to be cordoned off and engineers sent in to investigate. The third bolt was caught by a safety net put up after the first incident. Hydrogen embrittlement is a process usually the result of hydrogen being unintentionally present during the manufacture process. The hydrogen diffuses through the metal, collecting in micro-cavities, increasing the internal pressure until it cracks. British Land insists the faulty parts do not affect the structural integrity of the building and that problems are restricted to a small number of the parts. British Land CEO, Chris Grigg, said: “The issue was limited to certain bolts [and] as a precautionary measure we are going to replace a number of additional bolts." Last year, we got a behind the scenes tour of the Cheesegrater, including a rare visit to the roof (which also contains a falcon nest).